The decision to outsource customer support comes into picture when you realize that the needs of your customers are escalating exponentially. Either the inbound volume of your customers’ queries start overflowing or you miss out on time due to a void in customer engagement past the working hours. Hence, you can miss a huge chunk of your traffic if you don’t have a provision to entertain your customers round the clock. Customer support outsourcing is a wise option when most of your customer queries are not technically intensive and can be conveniently handled by the outsourced customer support agents. A few queries that need technical expertise about the product or service being offered can then be escalated by these agents to your in-house staff. 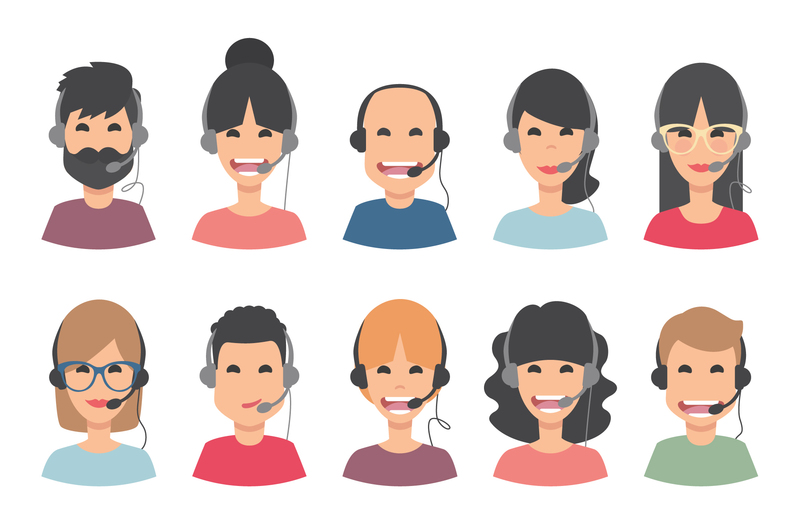 Should you Outsource Customer Support for your business? We have many clients who instead of outsourcing their whole customer support, just go for extended hours support. Some of them have businesses with crucial specificities which only their in-house staff understands. So, they use the extended support by our experts to entertain the generic queries of the customers when the in-house employees are indisposed. Also, our experts assure the customers having specific technical issues that their concerns will be satiated as soon as possible, and escalate them to the in-house support to deal with when they’re back at work. Others prefer extended hours because they have the customer support infrastructure of their own to handle the major portion of their customer interaction. They employ our trained personnel to fill the gaps created by varying time zones. Outsourcing isn’t always the answer to your customer service needs. There are many crucial factors that we need you to consider before you outsource customer support for your business. Firstly, you have to judge if the volume of the customer service handled by your business is high enough to be outsourced. Make sure you ascertain over a substantial period of time that there is a real need for outsourced support and that the customer load won’t just die out. Secondly, we suggest every client analyse how much of their customer interaction volume revolves around complicated technical issues that only their in-house employees can successfully tackle. If the majority of your customer queries are in such fashion, in-house support will suit you better than outsourcing the whole thing. You can always complement that with extended support to further cement your customer support framework. You have to judge if the time of your employees needs to be freed from the customer queries and put to something instrumental in the growth of your business. If they should be doing things that lie within their talents rather than handling the customers, which can turn out to be beneficial for the business, in the long run, outsourcing is the way to go. Does your Business need Live Chat Outsourcing? Prompt help and guidance are key factors in customer satisfaction and hence are important in maintaining quality customer service. And nothing says ‘prompt’ as much as live chat does. Having an online chat support system with dedicated live chat agents at your customers’ discretion can prove to be a big advantage. But everything that shines ain’t always gold. Similarly, outsourcing live chat is a tricky business and should be dealt with scrutiny. Before you decide to outsource your live chat service we want you to jot down a few important things. Firstly, you have to be certain that your average order value is high enough. If it isn’t quite, outsourcing can hurt your finances rather than increasing profits. Low-value conversions, no matter how frequent, don’t provide enough margin for profit and therefore can’t help sustaining outsourced customer support expenses. So if you want a high return on investment, make sure you have a high enough order value before you outsource. Also, if you are offering a product or service that entails a cumbersome and complex process to break it down for your customers to understand, you need highly trained agents with relevant experience in your business vertical. We recommend picking agents with similar cultural background and language specification as your target demographic. This ensures a good connection between your customers and the chat agents. Otherwise, if your products and services are simple and transparent, you can make do with artificially intelligent bots to engage your customers. But you must refrain from doing that if your traffic is high and customers come flooding onto your website. High traffic can be turned into a high conversion ratio by utilizing the prowess of live chat agents as they guide the traffic around the store and upsell to the customers. Another convenient trade-off you can make is by prioritizing email support over live chat support. Email answering service, though not as swift as live chat, has numerous advantages over it. Firstly, the time spent on live chat medium is much higher. Half a dozen emails can be sent in the time it usually takes to complete a single live chat session with a customer. Secondly, the normal email response time is 24 hours, which gives the support team enough time to dive deep into the customer’s issues and solve it. In case the issue requires the expertise of the in-house team, the agents escalate it to them and notify the customer within the stipulated time. All in all, live chat outsourcing can tap into the uncharted potential of your business and help you up your sales. But if poorly implemented, it can harm your business and reduce profits. We suggest you keep your finances, product, market and the quality of man force in mind when you decide to outsource. Email support is essential for businesses and their respective customers. It is the most prevalent medium that the customers use to satiate their queries and raise concerns regarding the services or products that you offer. We cater to the email support needs of numerous businesses and over time we have devised the metrics to judge if outsourcing email support is convenient for a business or not. The volume of inbound customer emails is crucial in judging the outsourcing needs of your business. If the volume is too high to handle i.e. the emails flood in throughout the day and the night, outsourcing is the only way to be able to process all the incoming emails and respond swiftly. If the volume is not that high but still substantial, you may assign email support to your in-house employees during working hours and hire extended hours support during non-working hours, like many of our customers do. One of the best practices to control the inbound volume of customer queries is to write an informative FAQ section containing the questions asked most frequently by the customers and questions involving a certain degree of complexity. Another thing you should do before you think about outsourcing is to provide a concise knowledge base containing all the customer queries and concerns that you think can prove beneficial for other customers. This can help depreciate the volume of incoming emails as the customers can help themselves by looking at the responses to similar queries made by other customers. Also, support forums are extremely helpful medium in satisfying the customers’ queries. Forums are awesome as they transform your whole customer base into a tightly knit community steadfast in solving each other’s issues. This metamorphosis leads to a very optimum kind of automation where you don’t have to toil to assist your customers or pay people to do it; it becomes ‘for the customers, by the customers’. Many businesses use system generated emails to saturate customers’ sense of urgency when it comes to solving issues. This is a good practice when you have a minimal workforce that handles the emails. Another progressive choice is to use artificially intelligent bots that can process the emails and devise instant solutions based on the previous email and chat support data. The only problem, in this case, is that the bots need large datasets to be able to reach a level where they can make intelligent suggestions. Thus, you need a vast customer base and immense customer interaction volume. Outsourcing email support for your business can save you money and time, and even earn you customer satisfaction. But for that to happen, you have to keep in mind your domain, product specificity and inbound email volume, and chalk out an outsourcing plan accordingly, to suit your business. Is Outsourcing Voice Support efficient? Phone answering service is one of the most common customer support services which is employed by almost every other company. Outsourcing voice support is a common practice because it needs trained people and expensive infrastructure with high maintenance. Outsourcing cost is the highest for voice support out of all the support channels. The return on investment is low as compared to email support for the same average order value, given the voice support expenses. But one call can achieve what a string of emails spanning over a few days does. This leads to enhanced customer satisfaction and customer loyalty consequently. Call support calls for specific requirements regarding the personnel. We suggest selecting executives with category expertise on whatever domain they are working for, along with apt language specifications and cultural background. Their tone, verbiage and fluency have to be pitch perfect so that your customers do not feel even a speck of disappointment. Always try to hire a support team that is a cultural fit, with similar values as of your target demographic. This helps in fostering a bond between your call support team and your customers. Voice support channel is the most high-end customer support channel as it requires infallible infrastructure and no points of failure whatsoever. Moreover, the call quality should be commendable and satisfying for your customers. The people talking to your customers should be properly trained and tested to judge their resourcefulness. At Helplama, we assure our clients that they get the best talent by assuring intensive training and testing. Our team trains the agents on your product catalogue, policies and past customer interactions. We then test the skills and knowledge they acquire by rigorous tests and also urge our clients to test them until they are satisfied with certain people and deem them ready to handle their customers. We recommend you do the same and pick the candidates suitable for your business, whichever service provider you go with. Also, we urge you, like all our clients, to test the quality of service before making a decision, as these people are going to talk directly to your customers. We provide a pay as you go phone answering service where you pay according to call volume and don’t have to comply with the fixed prices. The clients benefit a lot from this as they don’t have to pay the same for the idle hours as they do for surge hours. You must look for such a plan for your voice support if you know your call volume is not constantly high but more in an ebb and flow fashion. Therefore, outsourcing phone answering service is an efficient option when your incoming call volume is higher than you can handle and your budget doesn’t allow you to have an in-house call center. Focus on hiring good people and always stress on quality assurance, and you’re good to go.